Inverlussa Marine's Kilean approaches Oban for service to her hydraulic crane 07 May 2015. 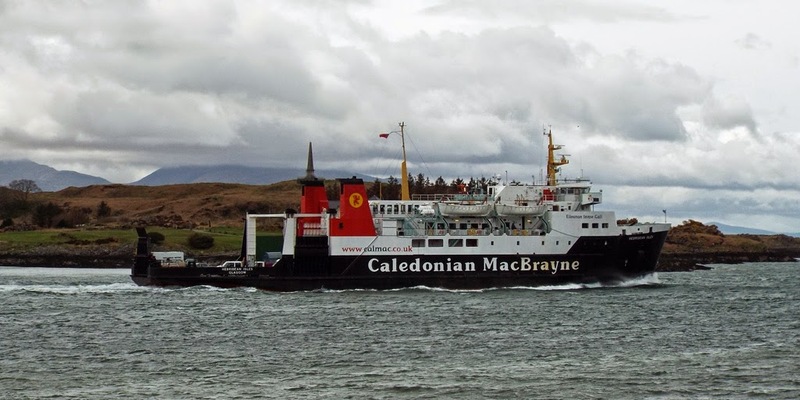 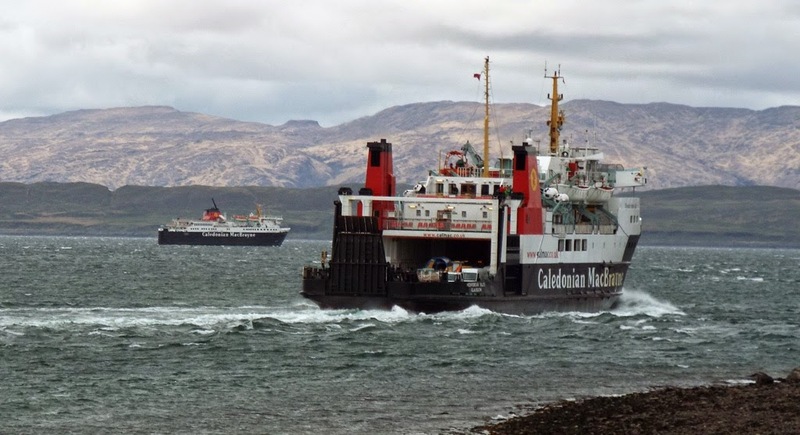 Poor weather caused Hebridean Isles to take the North Channel on the Oban-Colonsay-Islay-Kennacraig Service 06 May 2015. 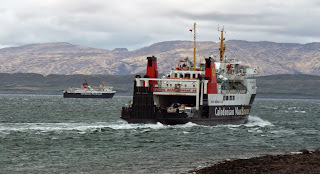 Hebridean Isles passing Hutchinson's Memorial. 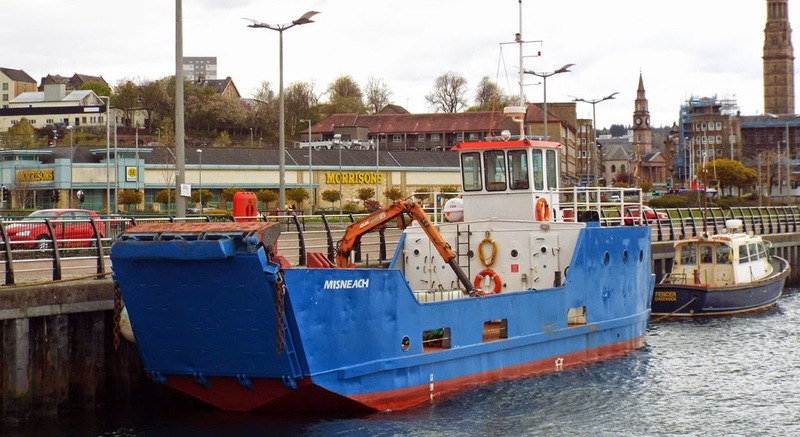 Shearwater Marine Services' Misneach at East India Harbour, Greenock 02 April 2015.